A commitment we take very seriously; Future Pak provides our clients with unprecedented customer service and on-time delivery. How? Through almost 38 years of professional experience within the industry, close attention to detail, and a focus on each of our customer's needs. 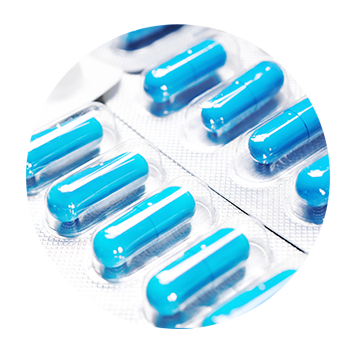 Since 1977, Future Pak has specialized in solid dose packaging for the pharmaceutical industry. Our company has evolved since then and while we still maintain the highest quality standards in pharmaceutical packaging, we’ve expanded into specialty manufacturing of tablets and capsules for both Pharma and the Nutraceutical sectors. While we still specialize in small to medium sized projects, we have significant large volume Rx production experience that has reached millions of units per month and billions of tablets per year. We offer a wide range of blister tooling including cold form and pouch sizes from 1 ½” to 7” and can package solids, powders and granules. Future Pak offers a wide range of bottles and can provide turn key solutions for all types of solid dose packaging.